Carissa Moore’s air game shines in this three-minute clip from Red Bull. Hawaiian Carissa Moore flew to Texas with coach Shane Beschen to perfect her aerial game at the BSR Surf Resort Waco wave pool. The 3X world champ had the luxury of hitting the same aquatic ramp over and over again to hone her boosting skills. 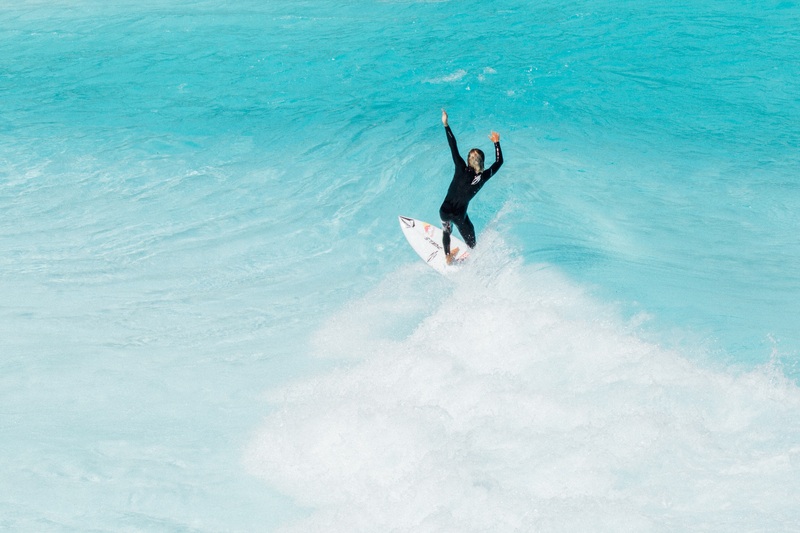 “The goal is to get more confident with airs and take it to the competitions at some point and change the game a little bit,” said Carissa about her trip to the Waco wave pool. The customizable Waco wave pool by American Wave Machines launched this spring to rave reviews, mostly due to its wedge peaks and programmable air section. So desirable is this new toy in the wave pool world that it will host a specialized air contest later this month. Since its debut several pros like Brett Barley along with teams from around the globe, have descended on the ocean-less city to practice their skills and learn some new ones.